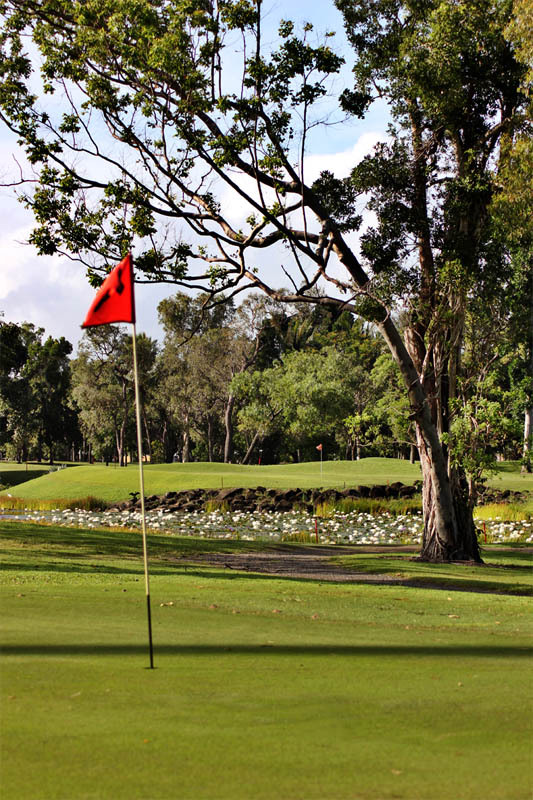 Half Moon Bay Golf Club is located at Yorkeys Knob on the northern beaches of Cairns. Yorkeys Knob is 20 minutes north of Cairns CBD, 15 minutes north of Cairns international and domestic airports, and 15 minutes south of Palm Cove. Traveling north from Cairns city, or Cairns Airport, continue across the Barron River bridge and through the Machans Beach and Holloways Beach roundabouts until you come to the clearly signposted Yorkeys Knob roundabout a few hundred metres south of Skyrail and Tjapukai. Turn right at the roundabout and continue for about 5kms. If you’re traveling south from Port Douglas or Palm Cove, or coming down the range from Kuranda, the Port Douglas and Kuranda roads converge at the Smithfield roundabout. Continue south through this roundabout, past Skyrail and Tjapukai, to the Yorkeys Knob roundabout. Turn left. The main access road becomes Varley Street as it enters Yorkeys Knob. Continuing down Varley Street you will pass the shopping centre on your left about half way down. Wattle Street is the next left, and we are at the end of Wattle Street.